Sure, most things that you may want to use nowadays are easy to download online (legally of course). However, from time to time you are going to need to use a CD or DVD. Now, for the most part this should be completely fine. You just slide in your CD, it loads up and everything is perfect. However, some people find that their CD or DVD drive does not work as it should. On this page we want to run you through what could potentially be causing these problems, and perhaps more importantly, how you can fix them. Luckily for you, there is actually very little that can go wrong with a CD or DVD drive. In fact, there are just two things that could be wrong. The first is highly unlikely. This is that you either have a faulty drive or you have a faulty disc. A fault of this nature probably accounts for just 1 in 1000 problems with the disc drive. If you have not noticed anything ‘bad’ with the drive in the past then it is unlikely that this is the reason. The most common problem is down to faulty drivers. Now, faulty drivers can cause a whole host of issues. For example, you may find that discs are not being read correctly, the read speed of the disc drive may be a little slow, or you may be missing features such as the ability to write onto discs. In some cases you may find that your CD or DVD drive is not being listed (CD Rom missing) on the computer at all. Before we look at how to solve this problem, it is probably worth thinking a little bit about what CD / DVD Rom drivers are. Think of hardware drivers as small pieces of software (which is exactly what they are!). 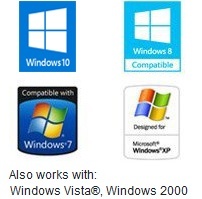 These pieces of software are installed on your computer when you add a new device. Their job is to tell the operating system what a particular device does. For example, it will tell your computer that a disc drive is actually meant to read discs. Your drivers are without a doubt the most important pieces of software on your computer. If something goes wrong with them that it can cause all sorts of issues which need to be dealt with. As you may know, no software is infallible. This means that from time to time bugs may creep into the drivers. This is mostly down to incorrect coding when the manufacturer of your device created the drivers. Most of the time these errors are not going to affect you. They are only going to present themselves in limited circumstances. However, occasionally they may cause the disc drive to stop working all together. Luckily for you, manufacturers tend to be on top of this sort of stuff. 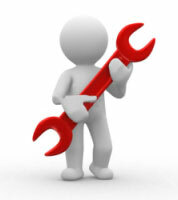 As soon as they know that there is a problem with their drivers they will work hard to produce an updated version. The problem is, it is unlikely that you are going to go and seek out new drivers until you have discovered that your ones are not working properly. For the rest of this page we want to talk a little bit about how you can update the drivers for your CD & DVD drive. There are two methods that you can use to repair your drivers. The first method is the manual method. This is where you are going to do all of the work yourself. The second method uses a special piece of software which makes the whole process a lot easier. To be honest, unless you understand computers A LOT then we suggest that you use the automatic method. This is because a lot can go wrong with the computer if you use the manual method and find the drivers yourself. In fact, due to the high risk of messing up the computer you will find that most computer professionals will NOT use the manual method. They can probably locate the right drivers, they just do not wish to risk messing up the computer of their client. The first step of the manual method is to identify the exact model number of your CD and DVD Drive. You do not want to guess here. If you get it wrong then you could cause problems with your computer. If you are even slightly unsure about the name of your drive then do not use this method! If you go to the Control Panel, open up the hardware dialog and click system you should hopefully be able to find the name of the drive. If you are unlucky though it could list the drive as ‘generic’. If this is the case then this method is not for you. Once you know the name of the drive that you are working with it is time to head online and track down the right drivers. This should not take too much effort. However, you want to be sure that you download the right ones for your computer. This means for your operating system. I only suggest downloading from the manufacturer’s website as this is the only way that you can be sure that the drivers are up to date! The final step is to install the drivers. The exact method will depend on what format they came in. If you have drivers that are in .exe format it is as simple as running the file. If they are in another format (INF file as an example) then you are going to need to open that system dialog that I mentioned previously and install them that way. The automatic method is to use a rather nifty piece of software known as Driver Turbo. This brilliant piece of software will search for the missing drivers and install the correct drivers in a single click. There is next to nothing that can go wrong with this method. In fact, if you use the automatic method you should be able to fix most problems, whether related to your CD & DVD drive or not, within a couple of minutes. It really is worth a download.